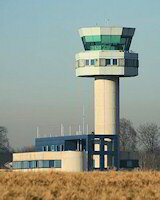 As in many countries, the vicinity of the airport is the ideal environment for many companies with international reach. Attracted by the space available in the Findel Airport Area, and by the efficient gateway between international markets created by the airport, several important companies have further enhanced their image by choosing to locate their offices here. The proximity to the terminal gives easy access to major European and global cities, and Luxembourg city centre is a short car, bus or (soon) tram-ride away. As the authorities cannot build homes due to planning restrictions relating to airport pollution, considerable space is available for developers to invest in innovative, spacious office developments, and several have taken the opportunity. Among these projects are Aérogolf, built there a few years ago, Findel Office Park F7 and the CityGate office development by BESIX RED Luxembourg, due to be completed in Q2 2016. These building projects in the Findel Airport Area are responding to to an ever-increasing demand as companies realise the advantages of positioning themselves here. They will also benefit from the Mobil 2020 plan to improve accessibility to the airport district, thanks to the extension of the Luxtram route to Findel. For a RealCorp view of Luxtram, see our post Luxtram is on track! To explore your options for office premises in the Findel Airport Area, please contact the RealCorp Luxembourg Agency team. Earlier versions of this RealCorp blog post were posted in French and English on 25 September 2013.